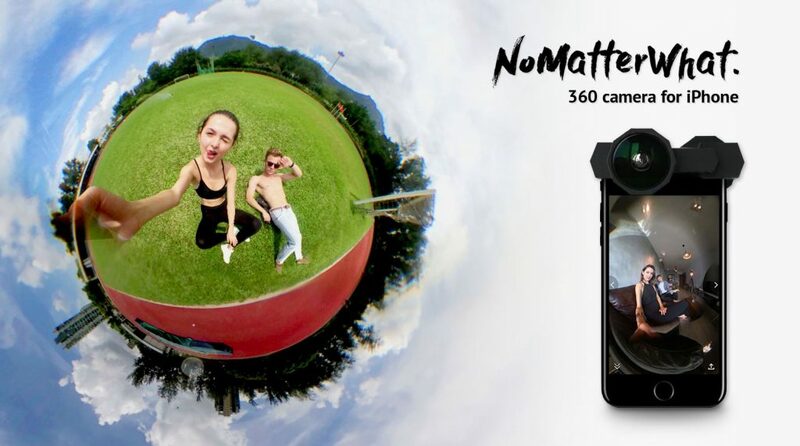 You can take 6K 360 photos with your iPhone 7 or 7 plus (and probably iPhone 8 and iPhone 8 plus) using an affordable $40 accessory called NoMatterWhat, which is probably the simplest 360 camera for smartphones. NoMatterWhat is one of those great ideas that makes you say, “Why didn’t think of that?” It’s a lens adapter for iPhone 7 or iPhone 7 plus that enables you to use both of the iPhone’s lenses simultaneously to capture 6K 360 photos. 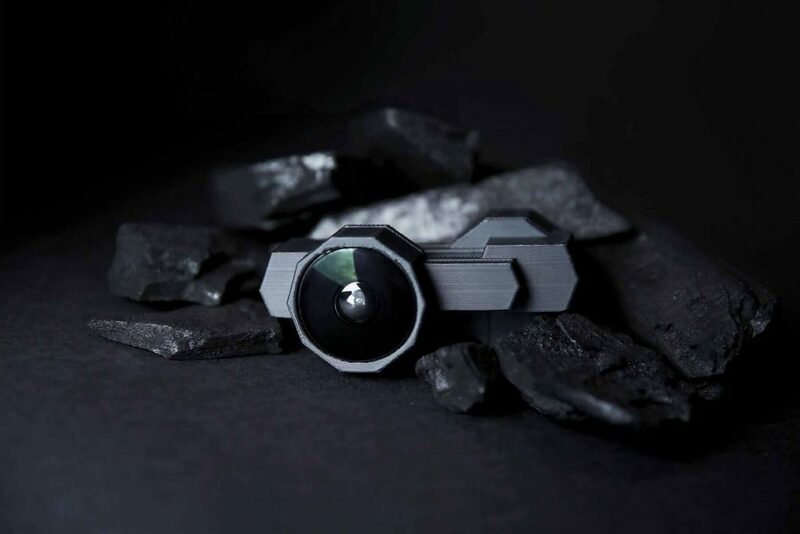 Because it is only a lens adapter, it doesn’t have batteries, or memory card, or syncing, or any of the other issues that can bewilder beginning 360 camera users. 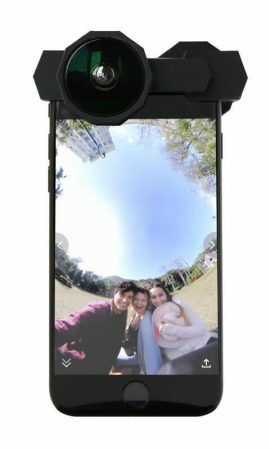 You simply attach NoMatterWhat to your iPhone 7 or 7 plus and use the NoMatterWhat app, which lets you shoot with both front and rear cameras simultaneously and stitches the images together into a 360 photo with 6K resolution, which can be viewed in 360 or as a tiny planet. The app has a built-in feature for sharing to Facebook or Instagram. 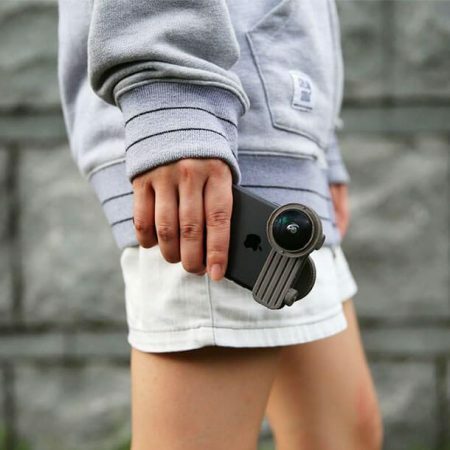 It’s an elegant approach to taking 360 photos. Because the front and rear lens of the iPhone have different resolutions, there is a difference in image quality between the two halves of a 360 photo taken with NMW. But I think the convenience (and accessibility) of this kind of accessory far outweighs any drawbacks to its image quality. NoMatterWhat is currently only for photos (not 360 videos or livestreaming) and right now is only for iPhone 7 or iPhone 7 plus. It seems that it might also work for iPhone 8 and iPhone 8 plus, which have identical dimensions and camera locations to the iPhone 7 and iPhone 7 plus. I don’t have an iPhone 7 and have no plans of getting the iPhone 8 (my wife is planning to get an iPhone X, which has a different lens configuration from the iPhone 7), so I unfortunately will probably never get to use NMW, but I still applaud the idea because I think this kind of device could make 360 cameras become more accessible. I hope smartphone manufacturers can take note of it and create cameras optimized for similar adapters. Meanwhile, NoMatterWhat is available for preorder on their website in black, gray, beige and green. Thank you very much to Tony Anastasi, who actually told me about it weeks ago but I was so busy I forgot about it!